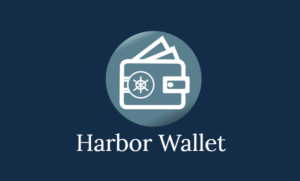 The main Ripple wallets that give access to the creation of sale and purchase orders directly in the XRP Ledger are Gatehub, Toast Wallet, Harbor Wallet, The World Exchange and variations of the Ripple Desktop Wallet, such as Rippex, RippleFox, and Ripple China. There are some versions of the desktop wallet originally created by Ripple Company, all based on the original code provided by Ripple. Always check the provider’s conditions of support and maintenance for the wallet. Some may have been discontinued but continue to run unsupported, such as Rippex. If you are a new user, we suggest that you use Gatehub or Toast Wallet to buy and sell ALV. However, if you already use any of these wallets, be aware that you can manage your balance, send payments, and trade ALV in your current wallet. The first cryptocurrency gateway really quick, without charges, fees or intermediaries. Allvor proposes the integration of the XRP Ledger’s superior technology with systems and protocols used in e-commerce as a way to boost the cryptocurrency use on a global scale.